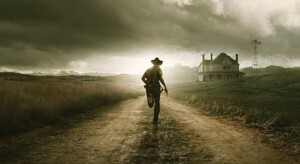 See the First Three Minutes of The Eighth Episode of ‘Walking Dead’ Season 2!!! Well the 2nd part of Season 2 of ‘The Walking Dead’ is upon us. Particularly February 12th on AMC. The episode is called “Nebraska” and it looks like the first episode will pick up right where the last one left off. I really enjoyed the first part of the 2nd season, but I really think that this 2nd part will be the meat and potatoes of the 2nd season. Looking forward to this. Click ComingSoon to see the video. Check Out the ‘Walking Dead’ Season 2 Blu-Ray Set!!! This entry was posted on Monday, January 30th, 2012 at 10:24 pm	and is filed under News, Television. You can follow any responses to this entry through the RSS 2.0 feed. You can skip to the end and leave a response. Pinging is currently not allowed. « ‘Arrested Development’ Series Is Gearing Up To Start Filming With Entire Original Cast!! !